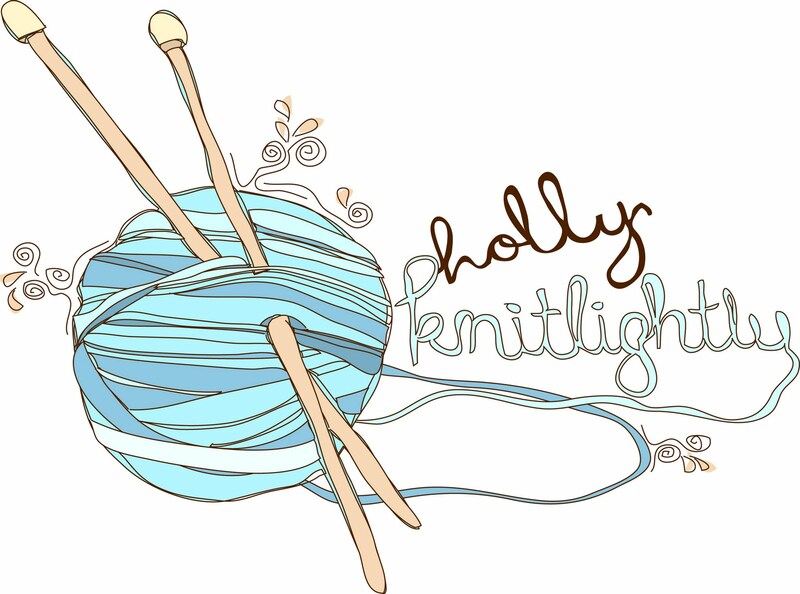 Holly Knitlightly: Happy Small Business Owner's Day! Giveaway with Campfire Chic! Happy Small Business Owner's Day! Giveaway with Campfire Chic! Hey guys! The amaaaaaaaaazing Kam from Campfire Chic has generously offered to host a giveaway on my blog to help celebrate Small Business Owner's Day! How awesome is that? She is not only hosting a giveaway, but she also has a challenge for you guys to do. I'm so happy to be sharing this blog post with you guys, it's amazing! Thanks so much Kam! Happy Small Business Owners Day! It's Kam from Campfire Chic again :) Today, I'm here to celebrate Small Business Owners Day with you...and do a giveaway! I know you heard from me only a few short weeks ago, but I just can't help myself! 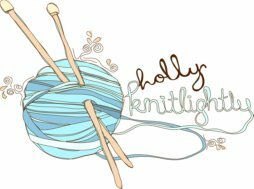 I love this project and think Holly is nuts a genius for taking it on. So, Small Business Owners Day is also known as Mom & Pop Business Owners Day, and it celebrates all the little guys out there :) Yes, from the cute diner down the road, and the hardware store on Main Street, to the online marketplace seller. Holly usually posts about how she celebrates the day. I'm doing that, AND issuing you a challenge, PLUS hosting a giveaway for all you small business owners, or those looking to own a small business one day! Here's your challenge: Project 3/50. Essentially, the challenge is to visit 3 local, independently owned shops in your town (or online, or wherever you happen to be) and spend $50 at these stores. I don't mean $150, I mean $50 total for the month. You know you can do it. Close your laptop and head to the local bookstore. Do I really need to elaborate on this one? The strawberries you buy from the supermarket are only good for one, maybe two days. The ones from the farmer's market last longer, are generally larger, and have a smaller eco-footprint considering they most likely came from within driving distance. Let's say you pick up a bouquet of fresh flowers, grab a sweet crepe to snack on while you walk around, splurge on a basil plant, and grab a jar of wildflower honey. You're looking at about $20-$30! Wait, am I doing my math correctly? Did you just spend $50-$60?! Yep, Mr. Calculator doesn't lie, just stimulated your local economy while finding a great new place to meet your girlfriends on Saturday morning, scoring something to read on your lunch break, and shopping for some essentials. Look at you. Now that you took the challenge, why not dive into the exciting world of being a small business owner? 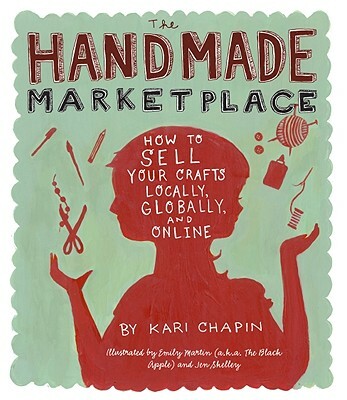 One of the first things I did after opening my shop was purchase The Handmade Marketplace. I think it is a great resource and I still pull it out and glance through it for answers/inspiration. I'm not ready to part with my copy, so I bought a second one to give away to one lucky winner! You can leave a new comment for every time you enter! Good luck to everyone! And thanks again Kam for writing this awesome post! following your blog too :) thanks for the giveaway! I am in Tempe AZ and I support Changing Hands bookstore! Random fact....hmmm....I can pick a lot of things up with my toes. It freaks my boyfriend out. He thinks I have finger toes :P.
I love the local farmer's markets and go all the time. I also love this little hidden treasure called Persimmon Hollow that you may have seen mentioned on my blog that is a bunch of local shops and I support all local craft fairs! random fact - I can't think of anything super fun right now. I crave donuts far more than any other sweet thing. Pretty much all of the shops at our local Farmer's Market are my favorite. Hoping to sell there this year! And a random fact: I'm getting married in Jamaica next month! I love our local farmers market and our little bagel place!! I follow Kam's blog via GFC!! random fact:: I am allergic to stress. Locally, I love to support the local consignment store & a super cool restaurant. Small towns are giving way to big box stores & fast food, so I try my hardest to keep the locals around! Recently the subject of moving came up in my home. Right now, we live in Puyallup (tiny little farming town south of Seattle) and we discussed where we'd move if we did. Finally it was decided despite the 120 mile commute I do to and from work every day that we'd stay in Puyallup because we love it there so much. Farmer's Market, the Antique District (5 double decker antique stores = heaven), the produce stands, the local book shops, the coffee houses, the wine shop, the pizza house, the breweries, Rose's Diner, our favorite little mexican place, Bagel Boys (literally a group of 5 guys from highschool living their dream!). This place has too much to ever consider leaving it, no matter how far outside of it I have to travel. We're even considering buying a home here eventually. Now that I've started my own business, I really feel a sense of pride that I am literally surrounded by a group of people that saw the same starting line I did. And look how far they've gone, covering main street and meridian with all their success and support. Great post Kam, thanks so much for sharing! I already follow kams blog, I'll pop over and say hey in a mo. Great idea, Kam & Holly. I just moved to a new town in New Hampshire, & it's chock full of amazing indie, local stores that I can't wait to patronize - coffee shops, bookstores, paperies, bakeries... EVERYONE should give this a shot! I love supporting Coffee Underground, a local coffee shop in downtown Greenville. It's one of my favorite places ever! Random fact: I LOVE chocolate milk. I like to support my local 2nd hand bookstore and used children's clothes store, and I love me some etsy! I already followed Kam on twitter, but now I follow you too! I support all the local diners. Half of them don't have names. Random Fact- If I break a nail I have to file all the other nails down to match it. Ha! How's that for RANDOM!? following your blog! Excited for all the celebrations. Following Kam left a message on her blog! Oh, I love supporting local shops in B'more! My favorites are Doubledutch (clothes), Trohv (home goods), and Ukazoo (used books). GFC isn't cooperating right now, but I'm pretty sure I'm already a follower. My random fact: when I was three years old, I wanted to be "an apple picker" when I grew up. i love the local craft store Fancy Tiger in Denver! it's paradise hehe.